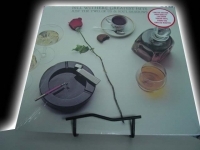 180 Gram Vinyl - items 50 to 75 Shop MyMusicFix!! 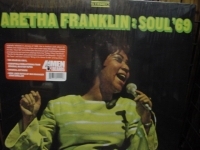 "Aretha Franklin, Soul 69 - 180 Gram LP"
ARETHA FRANKLIN - Soul 69 - THIS IS OUR LAST COPY OF THIS AUDIOPHILE LIMITED EDITION PRESSING FROM 2002. IT'A NOW OUT OF PRINT AND ONCE SOLD GONE FOREVER. 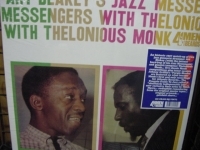 180 Gram Limited Edition classic LP high-definition Virgin Heavy Vinyl pressing for superior fidelity. The nicest thing you can do for your stylus and your ears. 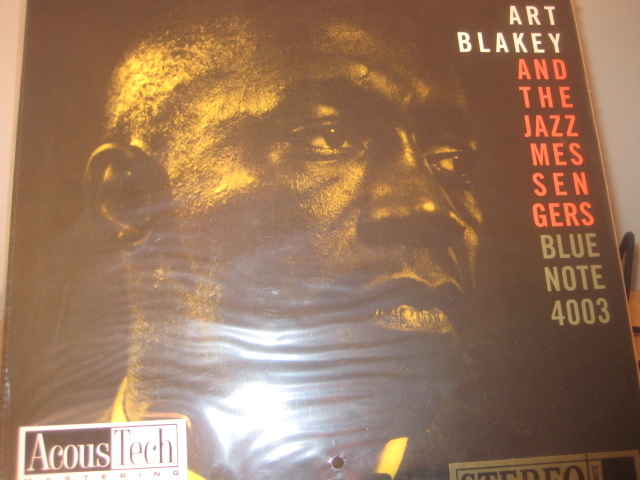 The ultimate record -- the way music was meant to be heard and of superior quality for any Audiophile. This is one of her most-overlooked '60s albums, on which she presented some of her jazziest material, despite the title. 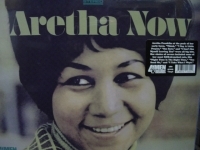 None of these cuts were significant hits, and none were Aretha originals. 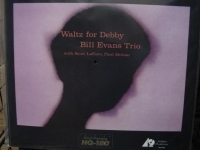 But she displayed her characteristically-eclectic taste in choice material, picking compositions by Percy Mayfield, Sam Cooke, Smokey Robinson and, at the most pop-oriented end of her spectrum, John Hartford's "Gentle on My Mind" and Bob Lind's "Elusive Butterfly." Her vocals are consistently passionate and first-rate, as is the musicianship. Track Listings 1. Ramblin' 2. 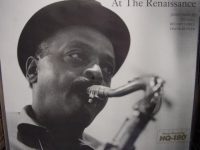 Today I Sing The Blues 3. River's Invitation 4. Pitiful 5. Crazy He Calls Me 6. Bring It On Home To Me 7. The Tracks Of My Tears 8. If You Gotta Make a Fool of Somebody 9. Gentle on My Mind 10. So Long 11. I'll Never Be Free 12. Elusive Butterfly A SONIC WORK OF ART. This is a Limited Edition gem. International Buyers - Please Note: Import duties, taxes, and charges are not included in the item price or shipping cost. These charges are the buyer's responsibility. Please check with your country's customs office to determine what these additional costs will be prior to bidding or buying. Note: It's illegal to falsify customs decla34rations or mark an item as a "gift" in order to avoid customs fees INTERNATIONAL BUYERS NEED TO BE AWARE OF THE CUSTOM'S TAXES IN THEIR OWN COUNTRY AND KNOW THEY (AS THE BUYER) ARE RESPONSIBLE FOR CUSTOMS TAXES. OUT OF PRINT PRODUCT is IRREPLACEABLE and therefore NOT RETURNABLE. USA SHIPPING: We box/package protectively - Ship UPS Ground/Insured within Continental USA - Hawaii/Alaska by mail. We accept PayPal ONLY WITH CONFIRMED SHIPPING ADDRESS INT'L SHIPPING: We box/package protectively for safe world-wide shipping. When accepting PayPal, ship ONLY WITH EXPRESS MAIL FULLY INSURED or PRIORITY MAIL FULLY INSURED - Because of Postal Regulations, U.K., CHILE & MEXICO EXPRESS ONLY if over $80.00. International Buyers are responsible for their country's Customs Fees. 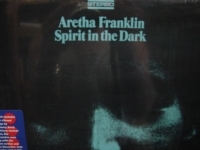 "Aretha Franklin, Spirit In The Dark - 180 Gram"
180 Gram Limited Edition Analog Virgin Vinyl. Tracks Include: "Don't Play That Song" "The Thrill Is Gone" "Pullin" "You And Me" "Honest I Do" "Spirit In The Dark" "When The Battle Is Over" "One Way Ticket" "Try Matty's" "That's All I Want From You" "Oh No Not My Baby" "Why I Sing The Blues"
"Aretha Franklin, Young Gifted & Black"
180 Gram Limited Edition Analog Virgin Vinyl. This 1976 release was voted the #76 rock & roll album of all time! Tracks Include: "Oh Me Oh My (I'm A Fool For You Baby)" "Day Dreaming" "Rock Steady" "Young,Gifted And Black" "All The King's Houses" "A Brand New Me" "April Fools" "I've Been Loving You Too Long" "First Snow In Kokomo" "The Long And Winding Road" "Did't I (Blow Your Mind This Time)" "Border Song (Holy Moses)"
"Art Blakey & The Jazz Messengers, Moanin' - 45 Speed 2 LP #119 - 180 Gram"
"Art Blakey and The Jazz Messengers, A Night In Tunisia"
180 Gram Limited Edition Analog Virgin Vinyl. 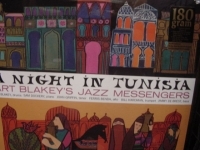 Tracks include: "A Night In Tunisia" "Sincerely Diana" "Sincerely Diana (alternate take)" "So Tired" "Yama" "Kozo's Waltz" "When Your Lover Has Gone"
"Art Blakey's Jazz Messengers, with Thelonious Monk"
Classic Analog LP Pressing 180 Gram HQ Vinyl. 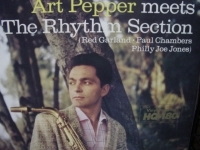 Tracks Include: "Evidence" "In Walked Bud" "Blue Monk" "I Mean You" "Rhythm-A-Ning" "Purple Shades"
"Art Pepper, Smack Up #79"
"B.B. 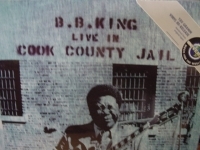 King, Live At Cook County Jail - 180 Gram - Last Copy"
180 Gram Limited Edition Analog Virgin Vinyl. 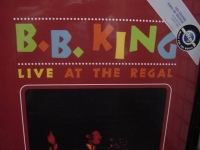 Despite the less than perfect recording conditions, at a time when technology had yet to catch up with the demands placed upon it, the King of the Blues delivers a definitive performance. Tracks Include: "Help The Poor." 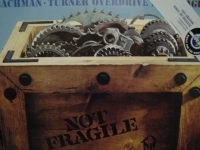 "Everyday I Have The Blues" "Sweet Little Angel" "It's My Own Fault" "How Blue Can You Get" "Please Love Me" "You Upset Me Baby" "Worry, Worry" "Woke Up This Morning" "You Done Lost Your Good Thing Now"
"Bachman Turner Overdrive, Not Fragile - 180 Gram- CURRENTLY OUT OF STOCK"
180 Gram Limited Edition Analog Virgin Vinyl. The title track "Not Fragile" is good example of what one can expect from this album. Tracks are "Not Fragile", "You Ain't Seen Nothing Yet", "Roll On Down The Highway", "Free Wheelin'" followed by "Sledgehammer". There is no filler in this album. 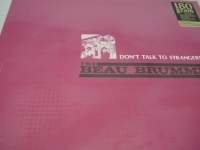 "Beau Brummels, Don't Talk To Strangers"
180 Gram Limited Edition Analog Virgin Vinyl "Out of Print" This collection may lack "quantity" (only ten tracks) but, it certainly does not lack "quality" and on this audiophile analog vinyl it's unbelievable. Each song is a pop music gem, from their biggest hits, "Laugh Laugh" and "Just A Little, to the lesser known but, equally as potent, "Sad Little Girl" and "You Tell Me Why". 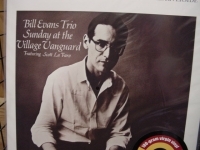 "Bill Evans, Sunday At The Village Vanguard - 180 Gram"
"Bill Evans, Waltz For Debby - 180 Gram - SOLD OUT"
"Bill Withers, Greatest Hits - 180 Gram"
180 Gram Limited Edition Analog Virgin Vinyl. Bill Withers has written two bonafide classics "Ain't No Sunshine" "Lean On Me" as well as recording a slew of memorable hit songs covered by everyone from Joe Cocker, Isaac Hayes to Kiss. Other tracks include "Grandma's Hands" "Who Is He?" 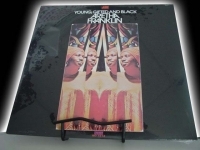 the seriously funky "Use Me" as well as some gems from the later seventies including "Lovely Day" "Two of Us" and more! 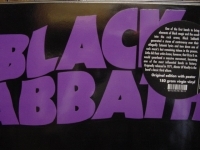 "Black Sabbath, Master Of Reality - 180 Gram - CURRENTLY OUT OF STOCK"
180 Gram Limited Edition Analog Virgin Vinyl. Originally released in 1971, "Master of Reality" is the band's classic third album. Tracks Include: "Sweet Leaf" "After Forever" "Embryo (instrumental)" "Children Of The Grave" "Orchid (instrumental)" "Lord Of This World" "Solitude" "Into The Void"
"Black Sabbath, Never Say Die - 180 Gram"
180 Gram Limited Edition Analog Virgin Vinyl. 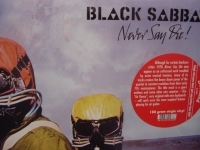 Tracks include: "Never Say Die" "Johnny Blade" "Junior's Eyes" "A Hard Road Side" "Shock Wave" "Air Dance" "Over To You" "Breakout" "Swinging The Chain"
"Black Sabbath, Paranoid - 180 Gram"
180 Gram Limited Edition Analog Virgin Vinyl. 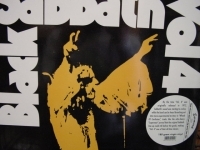 Tracks include: "War Pigs" "Paranoid" "Planet Caravan" "Iron Man" "Electric Funeral" "Hand of Doom" "Rat Salad" "Fairies Wear Boots"
"Elvis Presley, Elvis (limited stock) - 180 Gram Gold Sticker"
Simply Vinyl 180 Gram Limited Edition Analog Virgin Vinyl "Last Copy". 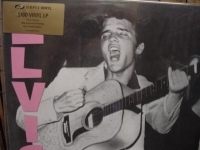 Tracks Include:"Hound Dog" "Don't Be Cruel" "Any Way You Want Me(That's How I Will Be)" "Rip It Up" "Love Me" "When My Blue Moon Turns To Gold Again" "Long Tall Sally" "Firs In Line" "Paralyzed" "So Glad You're Mine" "Old Shep" "Ready Teddy" "Anyplace Is Paradise" "How's The World Treating You" "How Do You Think I Feel" "Too Much" "Playing For Keeps" "Love Me Tender". 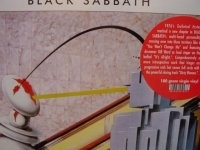 "Black Sabbath, Technical Ecstasy - 180 Gram - LAST COPY"
180 Gram Limited Edition Analog Virgin Vinyl. Tracks Include: "Back Street Kids" "You Won't Change Me" "It's Alright" "Gipsy" "All Moving Parts (Stand Still)" "Rock N Roll Doctor" "She's Gone" "Dirty Women"
"Black Sabbath, Vol. 4 w Gatefold Cover - Last Copy 180 Gram - CURRENTLY OUT OF STOCK"
180 Gram Limited Edition Analog Virgin Vinyl. By the time "Vol. 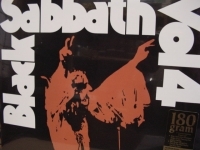 4" was originally released in 1972, Sabbath's sound was starting to evolve, while the band can be heard branching out into more experimental territory in "Wheels of Confusion", tracks like the ultra-heavy "Supernaut" proved that the orginal Sabbath line-up could still deliver the goods. Tracks Include: "Wheels of Confusion/ The Straightener" "Tomorrow's Dream" "Changes" "FX" "Supernaut" "Snowblind" "Cornucopia" "Laguna Sunrise" "St. Vitus Dance" "Under the Sun/ Every Day Comes and Goes"